At Scientex, we are committed to the global green movement to develop renewable resources for the protection and preservation of the environment. 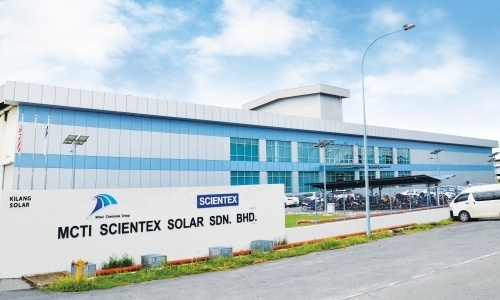 In 2011, we set up a manufacturing facility in Melaka to produce solar encapsulant film in a joint venture with our long-standing partner, Mitsui Chemicals Tohcello, Inc. (Mitsui). 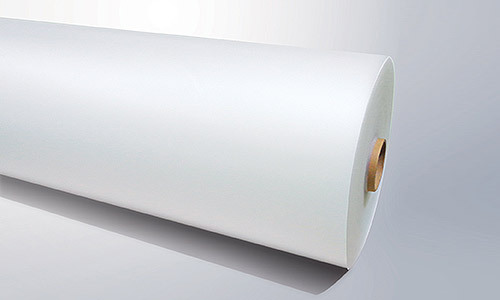 Mitsui is a global leader in the manufacture of high quality encapsulant films for use in solar modules. The encapsulant film, SOLAR EVA, has been used in solar cell modules as one of its key components both in Japan and overseas for more than 30 years with a proven track record of quality and reliability. The ISO certified state-of-the-art plant is equipped with cutting edge machinery and technology to produce encapsulant film that is used in the solar modules to prevent water and dirt from infiltrating into the solar modules, while protecting the cells from possible vibration and shock damage, and maintaining the efficiency of power generation for the modules. In 2015, the plant was upgraded to manufacture SOLAR ASCE products which is the brand name of Mitsui. SOLAR ASCE is a polyolefin base encapsulant. The superlative properties from the unique material design of the SOLAR ASCE products provides excellent features, amongst others, such as high temperature resistance and weather resistance, excellent durability and reliability, adhesive bonding and encapsulating properties as it meets the growing demand for such products worldwide.